INTERNATIONAL TRAFFIC IN ARMS REGULATIONS [ITAR] is a United States regulation to control the export and import of defence services, technology and defence articles. ITAR was sanctioned in 1976 during the Cold War with USSR. From 1976 to 2014 U.S. government has made many amendments in ITAR. Recently in 2014, U.S. removed satellite technology from ITAR regulation to increase export in this area.ITAR authorizes the President of U.S. to control the regulation under administration of Director of the Office of Defence Trade Controls, Bureau of Politico-Military Affairs and Department of State. 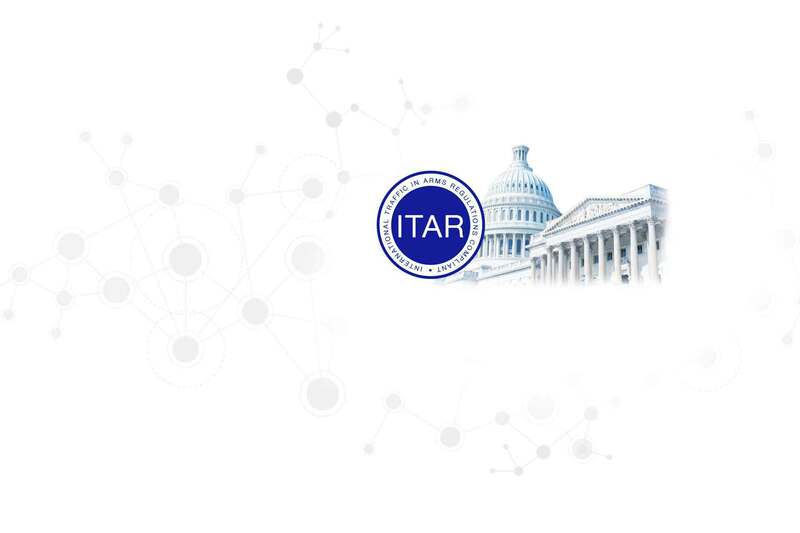 ITAR by law is compliant to all manufacturers, exporters, and brokers of defence articles, defence services, technology or technical data. It also enforces companies as well as their supply chain accomplices to be ITAR compliant. ITAR certified or compliant means that company or person must be registered with Directorate of Defence Trade Controls (DDTC). Only U.S. citizens, companies and foreign governmental bodies having diplomatic relations with the United States may be granted licenses or approvals. ITR violation may result in criminal or civil penalties. Entity can be banned from future exports. Civil fine as high as $500,000, criminal fine of up to $1,000,000 and up to 10 years of imprisonment per violation.ITAR compliant means that entity enforces all the controls to prohibit unauthorised disclosure/transfer/sell or distribution of items mentioned in UMLS. United States Munitions List (USML) is a specially maintained and regularly updated list by the U.S. government. It covers all the articles, technology, services and data that requires an export license and ITAR compliance. ITAR also prohibits retransfer of articles mentioned on the USML unless the retransfer is specifically authorized. Gas Turbine Engines and its Equipment. Information technology is a key enabler for the entire defence system of any country. It covers all the areas like technology development and evolution, device manufacturing, knowledge management, sell and export. IT is also involved in employee/soldiers training and it is also covered in the ITAR. The USML items can be traded and transferred employingnetwork systems,internet, intranet or any other digital medium. It might lead to data theft, data leakage and unapproved retransfer of USML items.ITAR enforces strict regulations and requires use of strong controls for the use of information technology. Data Classification becomes very essential to achieve ITAR compliance. Under ITAR, a person carrying laptop to foreign countrieswhich holds USML items is considered as retransfer. Even for an authorised U.S. citizen who is able access data in the boundary of county requires special permissions to access data in foreign countries. Now, data residing on Cloud and physical location of data and backups is also under jurisdiction of ITAR compliance.The law also controls softwarewhich includesentire phases SDLC. The law regulates functional designs, logic flow, algorithms, application programs, OS, firmware, support software for design, deployment, test procedures, diagnostics, and repair. Precise Data Classification and Data Leakage Prevention. Encryption of stored data as well as data in transit. Use of a secure network, firewalls and safeguards. ITAR compliance is a differentiating factor and contracting officers will ponder products valuable and ease contracts. Comparison for clients and customers becomes easy. Persons, companies or entities which engage in manufacture, export, sell and transfer of defence items, articles, data and technology related to USML. What does ITAR stands for?